If you’re in search of the best wholesale flooring options in Raleigh, look no further! Our friendly expert team at ProSource® of Raleigh is here to help trade professionals and their clients find the best carpet, hardwood, laminate, tile, or vinyl products to get the job done right. We provide affordable flooring solutions without having to sacrifice durability or style. We also provide our expertise in product selection — having experience with remodeling projects of all types. With us, you can get the quality flooring solution you deserve at a price that can’t be beaten. We happily provide a superior carpet selection that is second-to-none at unbeatable prices. 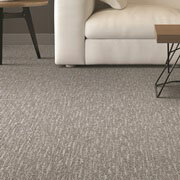 From traditional carpet to carpet tiles, we carry all types, colors, fibers, piles, and pricing options you could want. Our helpful staff is also here to help you zero in on the most ideal carpet solution for your project. ProSource® of Raleigh is proud to bring our customers the finest hardwood flooring around. Wood flooring gives you the option of many different looks and styles, which makes it a fine choice for your flooring needs. 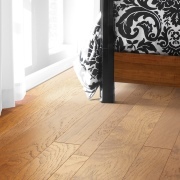 There are advantages to each type of hardwood flooring as well. We are proud to offer wood from the best manufacturers and brands including Armstrong, Kahrs, Avienda, Global Direct, Teragren, Mohawk, Shaw, Wincanders, and countless others. Laminate flooring offers a cost-effective way to depict the appearance of wood, tile, and stone. A visit to our showroom means seeing laminate from leading manufacturers, such as Armstrong, Mannington, Mohawk, Shaw, and more. Come in to the showroom and find out how today’s laminate can transform a room. Tile is a great choice for a multitude of renovation projects. You can use tile in showers, as a kitchen backsplash, on countertops, and more. Ceramic, porcelain, glass, or stone tile can add a very stylish and artistic touch to any room of a home. With our large tile selection, there’s an option that can suit the needs of every type of remodel project. Vinyl flooring provides unique looks with attractive natural colors and convincing surface textures that look and feel just like wood or tile. 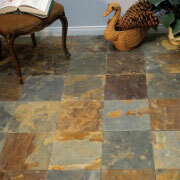 The exceptional quality of vinyl tile is due to its durability and unparalleled design flexibility. 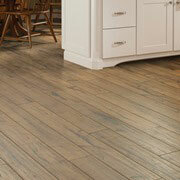 Vinyl flooring is ideal for high-traffic areas of a home or even for commercial use. 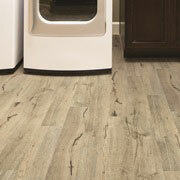 We offer luxury vinyl tile, vinyl plank, and sheet vinyl in mass quantities at wholesale prices. We service Raleigh and the surrounding areas, including Cary, Wake Forest, Garner, and Durham, North Carolina. The ProSource of Raleigh showroom is conveniently located in Raleigh, North Carolina and serves all of the neighboring cities including Angier, Apex, Bahama, Bunn, Carrboro, Cary, Castalia, Cedar Grove, Chapel Hill, Creedmoor, Durham, Efland, Franklinton, Fuquay Varina, Garner, Hillsborough, Holly Springs, Hurdle Mills, Kipling, Kittrell, Knightdale, Louisburg, Morrisville, New Hill, Raleigh, Rolesville, Rougemont, Wake Forest, Wendell, Willow Spring, Youngsville and Zebulon.